I have a large birthmark that makes me stand out and I love that about myself. Growing up I dealt with bullying, insecurity, anger, and depression. I still deal with anxiety when I am in public but the more I accept and learn to love myself, the more it disappears. I did laser treatments when I was younger but realized I was trying to get rid of it to make others feel more comfortable. It has taken time, but I love who I am, and I love my life. 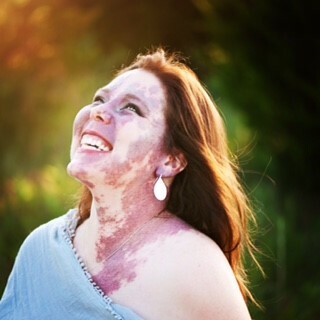 I am an active presence on social media to spread awareness of birthmarks and break the stereotypes of beauty. I also work as an accountant, and I am also a former opera singer. I am pursuing my CPA and always pushing myself past my comfort zone. I have PWS but PWS doesn’t own me.